Perhaps, it is one of the saddest … unfortunate things about being a writer who is taking the first few steps – They write to impress, not to express. Any green wannabe wants to impress, but with a writer, it becomes sadder because the tool they need to use to show their talent and skill, can often work against them – if they are not careful to wield it well. The Language. The language is the most common medium to communicate. It is also, often, used unwisely. If you cannot use it to attack correctly, it most certainly ends up hurting the wielder. In a bid to impress, many young writers attempt to use words that they think arrest the reader’s attention. The words appear complex, or refined, or – in simple words, a refined, complex way to say a simple everyday thing. For example, Rain becomes Precipitation, Shine becomes Effulgence, Rise becomes Emerge… and so on. The tricky thing is – these are valid words, but only when used within their proper context. Taken out of context, they are incorrect, they bring in a very different dash of meaning (many times different from what the writer actually wanted to say) and … often, results in unintended humor. The difference between the desire to impress – as against the need to express – is so visible – that one can almost see these writers sitting at their writing pad with an open Thesaurus or Dictionary, choosing so-called impressive words to state the simple (and sometimes, the obvious). Words or language are the necessary ingredients, but there is so much more to cooking than just ingredients. There is, after all, something called Diction – very useful and helpful. It’s not an ingredient by itself. I think of it as a measuring cup to balance out ingredients in correct proportions to bring out the flavor that I intend to. Cooking well may not always be complex. The simplest dishes, sometimes, are the most loved too. It is the flavor that matters. 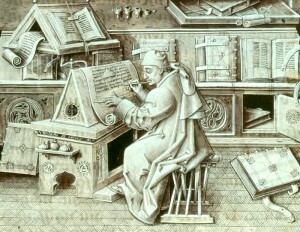 Writing is a mode of communicating, of expressing what a writer sees with their mind’s eye. The more complex a writer makes it, the harder they make it to understand. It is a form of expression – the more simply done, the more beautiful – the better communicated. A piece of writing is successful when what the writer saw in their mind’s eye was what their reader saw too. Simple! All Rights Reserved. Unauthorized use and/or duplication of this material without express and written permission from this blog’s author and/or owner is strictly prohibited. Before/After … and Ever after! Let us know your email and and we'll keep in touch!